The big one may have eluded him in dramatic fashion but Willie Mullins still had plenty to smile about at Fairyhouse yesterday with Paul Townend in the plate for a 28/1 Grade Two treble as Un De Sceaux and Getabird put Cheltenham disappointments behind them in fine style. Gordon Elliott's Doctor Phoenix was on terms with Un De Sceaux at the second last in the Devenish Chase and looked dangerous before a spectacular fall left the 5/6 favourite all alone in front and he cruised to an 18-length win with another Elliott runner A Toi Phil back in second. 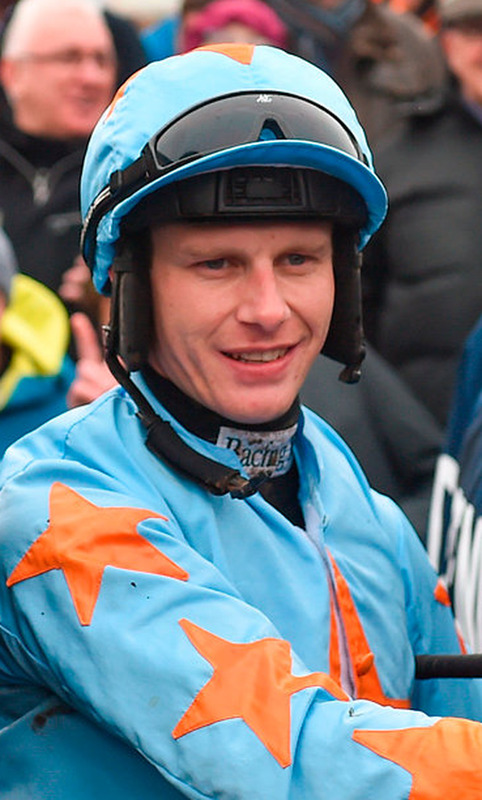 Townend (pictured) looked to still have something left in the locker and was adamant that the 10-year-old - which was recording his 21st success under Rules - was not beaten as he went one better than his second in the Ryanair Chase at the Cotswolds three weeks ago. "Paul said he wasn't beaten when the other horse fell. He was just letting him coast and waiting for the challenge. "He had his ground today and will probably go on to Punchestown now. He's made of iron this fellow. He pulls out every day and the way he races and trains every day at home. He's as hard as nails," Mullins said. Townend added: "You're probably a passenger for 99pc of the race on him. He's an iron horse and he's a joy to ride. I don't know (what would have happened) but I wasn't beat (at the second last). "Davy (Russell) was definitely going to put it up to me but I definitely wasn't beat and we were going to settle down to a good tussle. I thought I'd kept a little bit up my sleeve. We would have settled down for a good scrap." Getabird (Evens favourite) gave himself no chance when pulling far too hard for the first mile of the Supreme but the six-year-old was back to his best to cruise to a 12-length success from stable-mate Draconien in the Rathbarry & Glenview Studs Novice Hurdle. Front-runners were the order of the day and Townend sent him to the front from flag fall to make every post a winning one. "I rode him like the horse we thought we had at home before we went to Cheltenham. The race couldn't have worked out any better for him. He did everything right in front and he galloped right to the line," the Cork pilot said. Both are likely to head to Punchestown later this month and another heading to the Kildare track will be Coquin Mans (7/1) after the Hurricane Fly colours were carried to a commanding success in the Keelings Irish Strawberry Hurdle. "You can probably take it that he'd have won coming down the hill at Clonmel the last day!" Mullins said. "He looks a horse with an engine and one to look forward to over fences next season." It was a day for outsiders with an expert ride from Rachael Blackmore securing the Farmhouse Foods Novice Handicap Hurdle on the Mouse Morris-trained Western Ruler (25/1) while Meath trainer Thomas Gibney took the Fairyhouse Steel Handicap Hurdle with Andrew Lynch steering Ah Littleluck (25/1) to victory. Paper Lantern (14/1) and Donagh Meyler came out of the fog in front after a gruelling renewal of the Fred Kenny Lifetime Service To Racing Handicap Chase while it was fitting that Elliott took the last on an historic day in his training career. Jamie Codd steered Getaway John (3/1) home in the Bumper just minutes after Elliott secured his 200th winner of the season with the success of Portnablagh (9/10 favourite) in the Cork & Waterford Mares' Point-To-Point Flat Race at Cork. The O'Sullivan family were also big winners at their local track in Mallow with Michael recording his first racecourse success as he guided Wilcosdiana (4/1) - trained by his uncle Eugene - to a facile victory in the Jack Tyner Memorial Hunters Chase.